How I learned 50 famous social network websites. Fun Online IT Mosaics Collection. 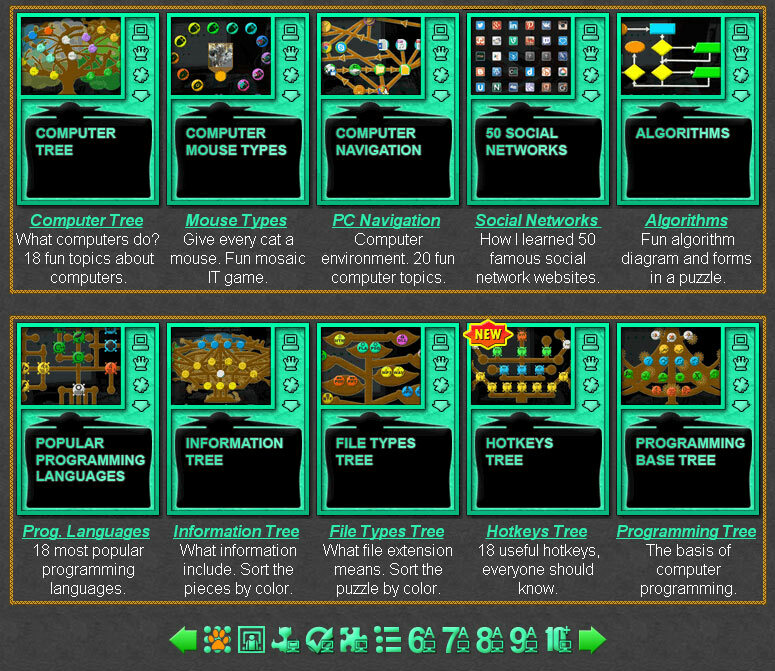 The IT fun mosaics are small flash applications, up to 1 MB, which include stylized pictographs, about interesting and useful computer topics, notions, concepts and information technology sub-disciplines. There are usually 18 - 20 round icons, which must be arranged in colorful trees and diagrams, like a puzzle or simple mosaic. Every mosaic game is suitable for one or more grades, as well as for fun exploration of the computer. Also, most of the tree mosaic games have a cumulative online test, which include an educational question, about every tree topic. Interactive online classes. Fun IT Mosaics Collection. Information Tree - Interactive learning lesson about Information properties.